Stressed out about getting gifts this year? You’re not alone. This year was a roller coaster, and you might be feeling your mood is closer to Scrooge than holly jolly this holiday season more than ever. So we wondered: how can we get back to basics this season, and spend less time worrying about things, and more time connecting with people around us? We asked this question to the driver community, who open their cars and hearts to countless strangers every day, and we received tons of expert advice — from parents, students, CEOs, bakers, teachers, therapists, entrepreneurs, military vets, and everything in between. All week, we’ll be featuring our favorite responses. 1. Skip the mall and DIY. “I choose one or two special people in my life and make a quilt for them. If someone’s special to you, make something that’s unique and special for them,” says Jim in San Francisco. Not the crafty type? “I use Pinterest to find ideas,” says Aprial in Portland. 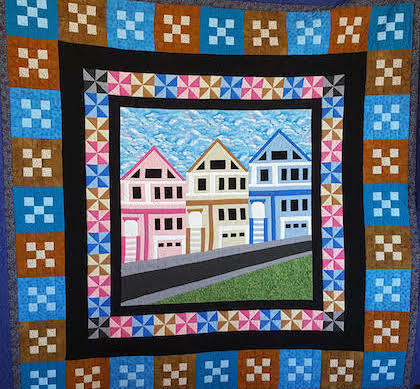 One of Jim's handmade quilts. 2. Spread holiday cheer with candy. 3. Tell someone you care in a card (and mean it!). 4. Give an experience instead. 5. Stick to a handy blueprint. Want more ways to #ReclaimTheHolidays? See 5 quick and easy holiday recipes, brought to you by the driver community.